This summer I went to Stockholm and got to see Scandinavian design first hand. 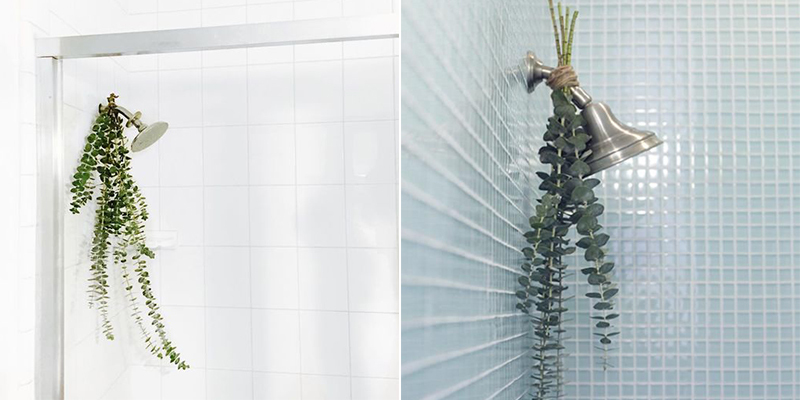 Ikea definitely rules the city, but one thing that I hadn’t really noticed before my visit was this new trend that’s sweeping across the internet: shower plants. I stayed at this cute little air bnb and the bathroom was full of potted plants. I absolutely loved it. The shower stall had hanging plants creeping down the side of the wall and the tub was adorned with beautiful potted plants. It made for the most relaxing spa shower I’ve had in a long time. As soon as I got back to the states, I knew I just had to add a little green to my shower. I did some investigating and soon discovered that Swedes might be on to something here. 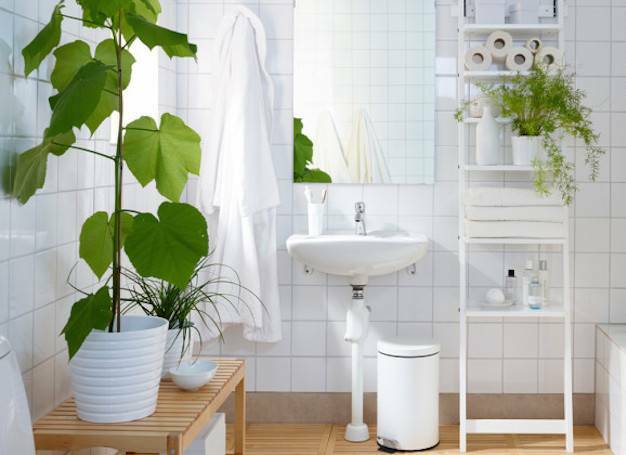 Not only are potted plants in the bathroom totally beautiful, but they also serve the function of purifying the air of bacteria and humidity. Perfect for a bathroom! It’s no secret how much I love houseplants. Even though I have the worst luck in keeping plants alive, I’ve found some houseplants that totally thrive even when they are in the care of an herbicidal maniac like me. 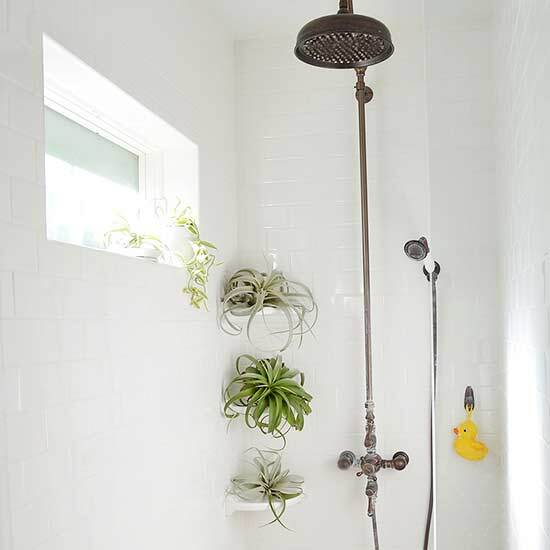 Finding houseplants for your shower is no different. 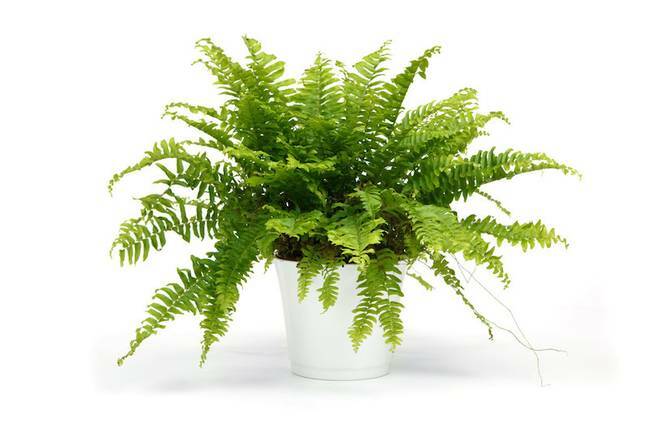 These plants are totally well suited for a bathroom’s humid environment and are all seriously low maintenance. Check it out! These amazing little guys are really making the rounds on Pinterest lately. Practically impossible to kill, they add a touch of elegance without all of the fuss. 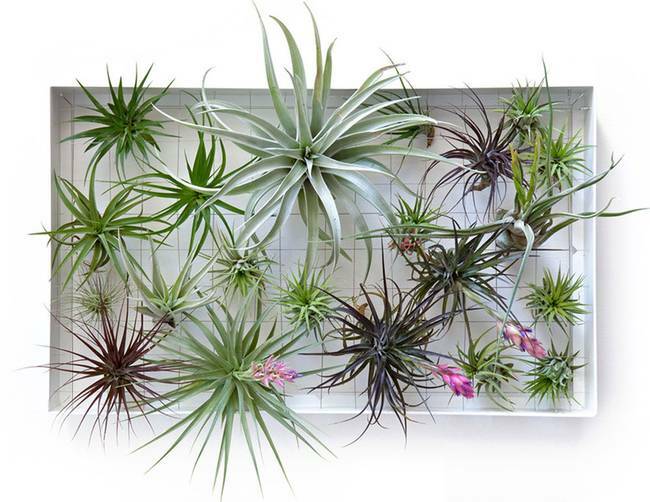 They don’t need soil and when stored in a bathroom, they get most of their water from the air. Just perfect! An oldie, but goodie. Ferns never lose their charm. They require little maintenance and are super prolific. they don’t need direct sunlight and your shower will feel like a rainforest. These look amazing on a vanity, on the lip of a tub, or on a shelf above the toilet. 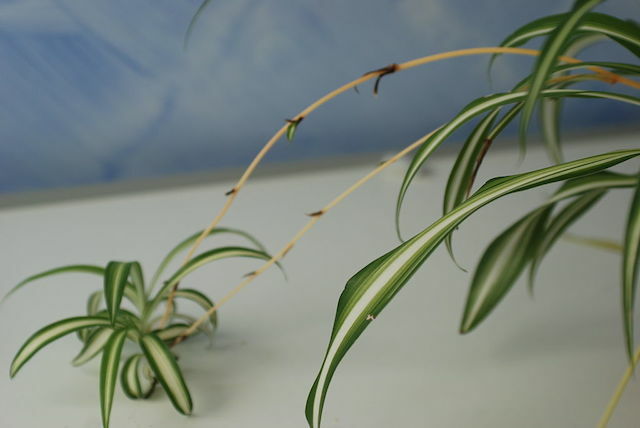 Spider plants serve double duty by adding a beautiful touch of low maintenance green to your loo, while at the same time purifying the air. They don’t need much light and they really do well in the humid environment provided by a bathroom. So aptly named, the eternity plant is virtually impossible to kill. Seriously, I tried. I am horrible at taking care of plants, but this one here doesn’t mind the fact that I, ahem, never water it, never talk to it (aren’t you supposed to talk to plants? ), and have only indirect sunlight in my bathroom. Forget about marriage, this guy will never give up on his relationship with you. Ok. 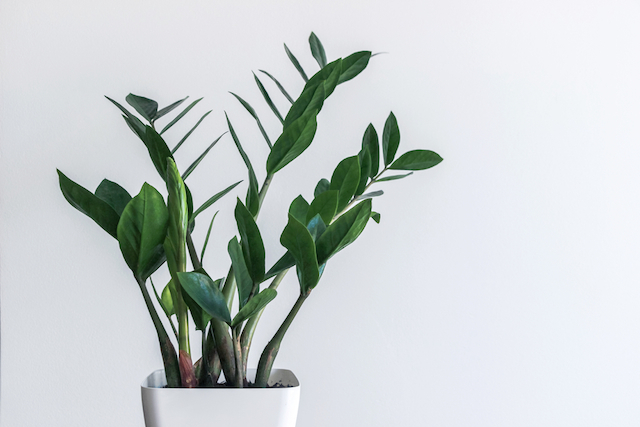 So what if you’re not willing to even attempt to care for a plant, no matter how low maintenance it is? I totally understand. I have a guest bathroom that I seriously never use. I only go in there to wipe it down from time to time when I know I’m going to have company. Not an ideal place for indoor plants that rely, even just a little bit, on human interaction. 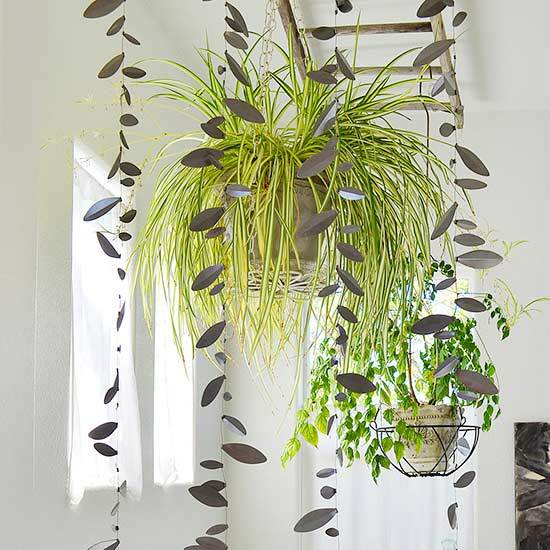 For that bathroom, I like to put together a bouquet of eucalyptus, mint, lavender, rosemary, or lemongrass stems that i tie up with natural twine (find it here) and hang from the shower curtain. These ‘bouquets’ last for weeks and release the most beautiful fragrances when in an enclosed space. 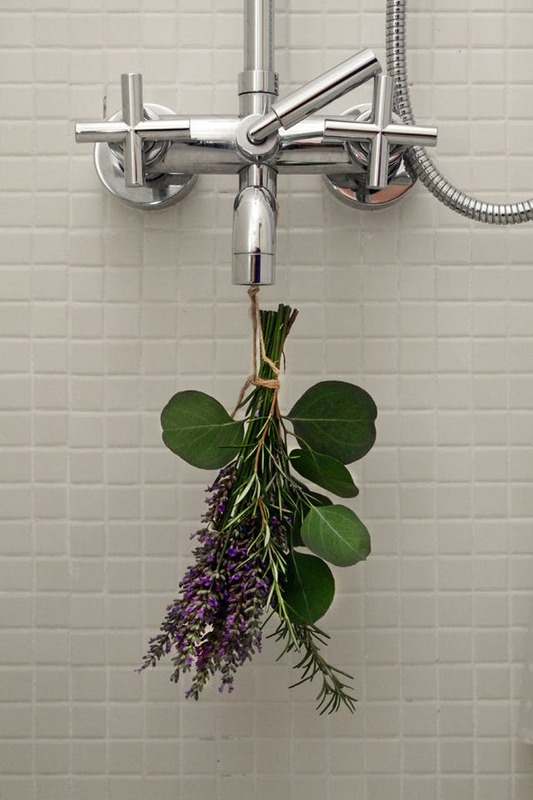 When and if you do use the shower, the bouquet reacts to the steam and creates an amazing aromatherapy shower. Such a cool little idea! You can avoid commitment, but still enjoy the benefits of bringing the outside in!